Sure, the food, wedding gown and flower arrangements are all important aspects of the perfect wedding. But, for those looking to really WOW their family & friends, nothing packs a punch quite like an idyllic destination wedding says Iain Gomes, renowned Destination Wedding Photographer. 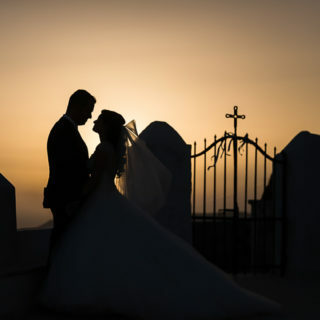 Quaint cobbled streets and pretty seaside resorts make the towns in Sicily an ideal and memorable place to wed. Old town halls steeped in character can be hired for the wedding ceremonies and stylish receptions can be had in ancient castle styled guest houses. Here’s a recent destination wedding in Sicily (Taormina) that I enjoyed immensely – picture perfect, quite literally. Often tagged as one of the most beautiful cities in the world, Sydney makes for an incredible destination wedding – especially if you can get the backdrop of the majestic Opera House and Harbour Bridge. What a wedding album that would make. Few destinations paint the perfect exotic picture like Hawaii. There are many possibilities for couples using Hawaii as their destination wedding location. Diamond Head beach in Waikiki has some bustle to it, or there’s a rainforest for those opting for Maui. Here’s a wonderful destination wedding that I shot in Oahu, Hawaii which was one of the most memorable I can remember. I’m a born Londoner myself, and as an experienced London wedding photographer, it makes for a sensational city to hold your special day. Vivid in history, culture and landmarks those looking for memorable destination wedding photography will find many options to choose from. For example, just a few to pick from include the Mayfair Hotel, the Painted Hall in Greenwich and St Paul’s Cathedral to name but a few. I’ve enjoyed the privilege of doing many weddings in these venues. Vail Mountain in Colorado may sound like a slightly odd choice for a wedding. But the outdoor amphitheatre built into the mountain with views of the stunning Rockies below makes it a stunning venue. We talked about Sicily – but Italy offers no end of dreamy venues to get married. For example, the Castello Di Vicarello in Cinigiano is a 900 year old castle nestled within two green hilltops. Couples can say “I do” amidst a crescendo of olive groves and guests can enjoy the finest Italian wines poolside, with views that will last a lifetime. How about getting married within a rainforest that’s also set right by the Caribbean sea? Ladera SoufriEra in St Lucia offers just that. Your wedding should really be a memorable, once in a life time event – and a destination wedding can certainly help make it exactly that for the happy couple and all invited guests.